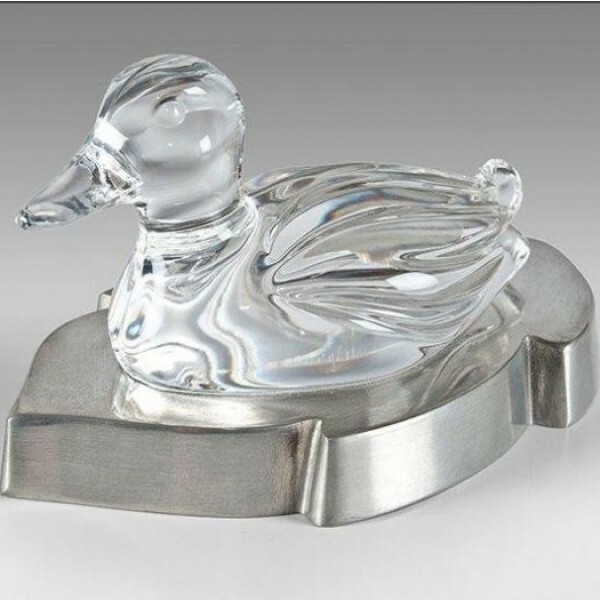 This figurine of a lead crystal duck mounted on a solid pewter base is a beautifully skilfully produced ornament. Handcrafted in Belgium this stunning crystal figurine makes a great addition to any crystal collection, a thoughtful crystal gift be it for a Birthday gift, Anniversary celebration or any other special occasion. This elegant solid crystal duck ornament with an engravable pewter base makes a wonderful anniversary or promotional gift. A wonderful addition to anyones crystal collection or as the perfect graduation present. Style: Solid Lead Crystal Sculpture.